Partial View of the crowd in Beth El. 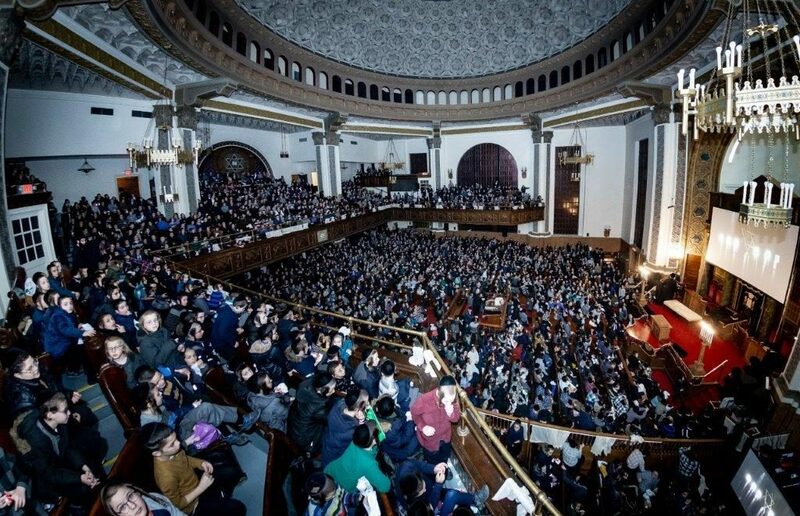 In an exceptional show of unity, thousands of children from every single mossad in Boro Park gathered Sunday afternoon, February 3, at Beth El to strengthen their commitment to answer amein and yehei shmei rabba. With three thousand boys seated in the shul and galleries, and another seven hundred in the lower level, a screen had to be set up in a school bus outdoors for the overflow crowd of several hundred boys to watch the proceedings. A hookup to Bais Yaakov of Boro Park enabled several hundred girls to listen to the drashos. Bnei Emunim International, an organization which encourages people to make sure that someone answers amein to their brachos, sponsored this massive gathering, the third event of its kind. 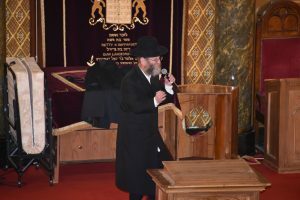 In 2014, the first assembly took place in Beth El, followed the next year by a mammoth hachnosas sefer Torah in 2015 which drew a crowd of thirteen thousand people. Harav Leibish Lish, a noted mechanech in Yeshiva Karlin-Stolin and renowned magid meisharim, served as MC for Sunday’s event, which began with the recital of Tehillim for the Skulener Rebbe shlita, who has always given his warm support and brachos for the project. 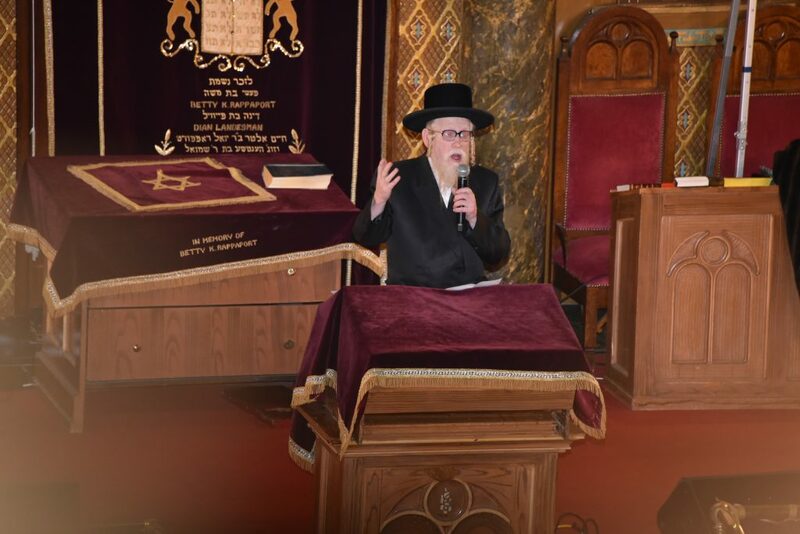 Skvere Dayan Harav Mechel Steinmetz shlit”a. 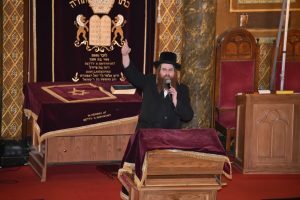 Harav Mechel Steinmetz shlita, Skverer Dayan, spoke about the importance that each brachah should have someone answering amein. Rav Steinmetz was followed by Reb Yaakov Mermelstein, founder of Bnei Emunim International. He spoke of the inyan of saying birchas hashachar bechavrusa, where each person pairs up with another in order to ensure that someone will answer amein to their brachos properly. 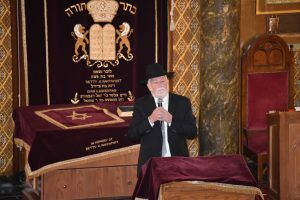 The final address of the event was by Rabbi Zev Shain, a Rebbi in Yeshiva Karlin-Stolin who was the main organizer of the gathering. 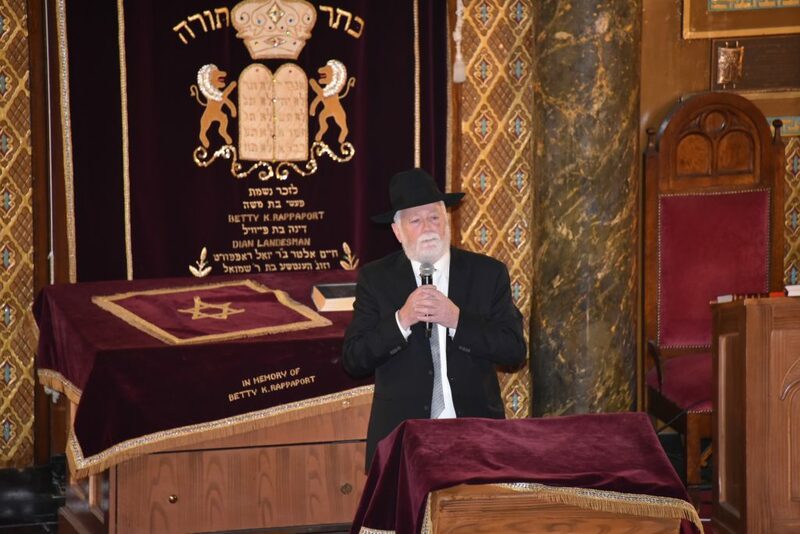 He inspired the children by describing how the Zohar Hakadosh speaks of the importance of answering amein to each brachah, and how we create malachim with each amein. 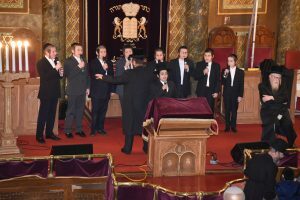 The Shir Veshevach Choir which entertained at the event. 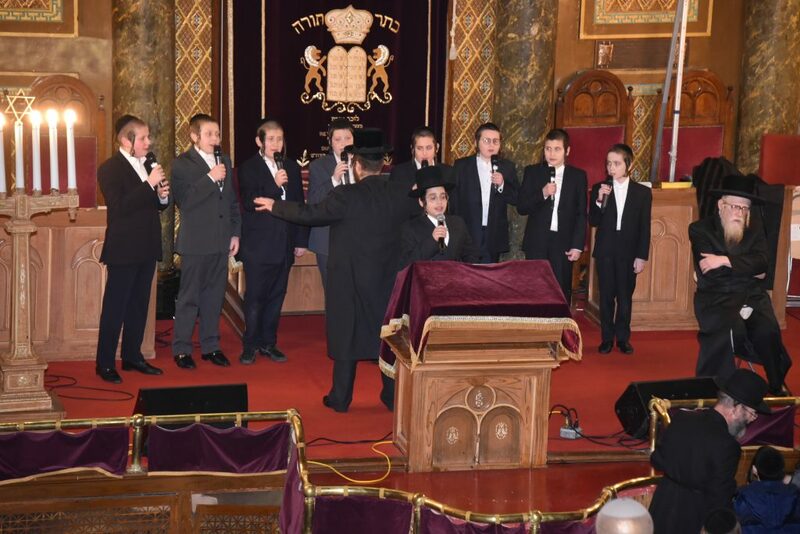 The Shir Veshevach Choir entertained the crowd with their beautiful singing, which included the melodious talents of Shalom Saal. Yonason Schwartz introduced a song about responding with amein yehei shmei rabba, and his singing was accompanied with a group which performed synchronized motions along with the song. After a skit about the importance of answering amein was performed, the crowd watched a slide show which enlightened them about each brachah of birchas hashachar. Each child in attendance received a CD with speeches by Rav Shain, Rav Lish and Rabbi Avrohom M. Malach. 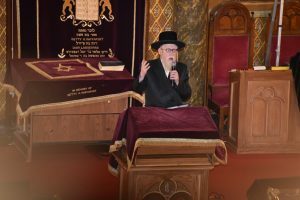 In addition, they received cards to check off their ameins for birchas hashachar, which can be cashed in upon completion for ten dollars of Klein’s Ice Cream. Two stunning models of the mishkan were raffled off before the children headed home. Reb Yaakov Mermelstein, founder of Bnei Emunim International.